Leather is one of the most durable, low-maintenance upholstery option for your furnishings. 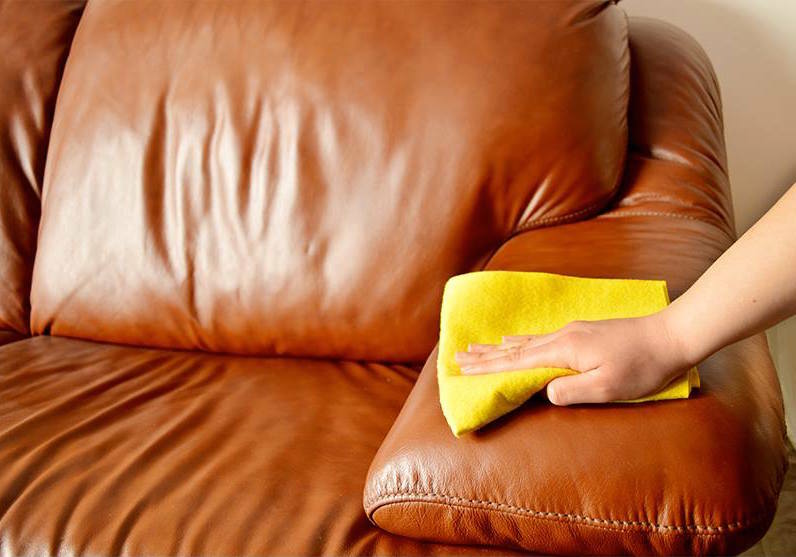 In order to keep your leather furniture looking beautiful and increase its lifespan, regular cleaning, once every three months, is necessary. Follow the steps below to keep your leather furniture looking like new. Every six months, depending on the usage, deep clean all leather surfaces. 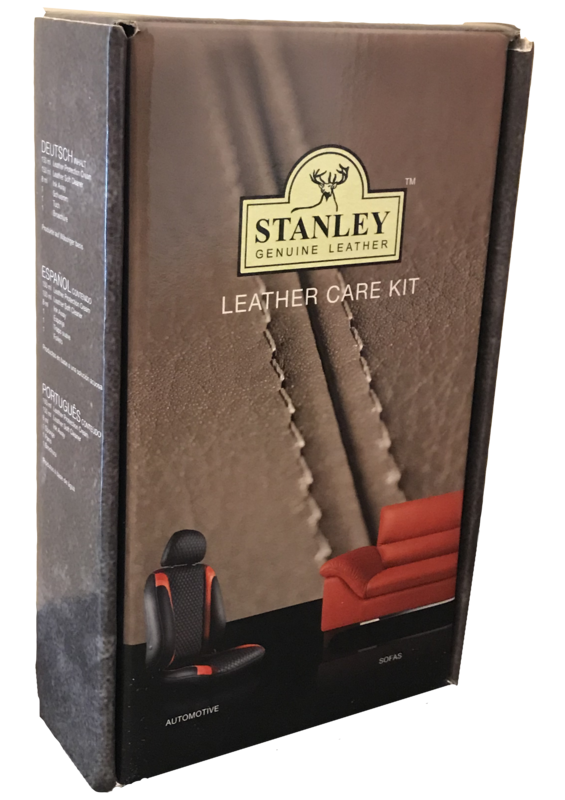 Apply the certified Stanley leather shampoo using a clean and absorbent cloth/synthetic sponge. Gently apply it over the leather in a circular motion. Wipe off the shampoo with a wet sponge then clean the leather surface with a dry cloth (nonabrasive). 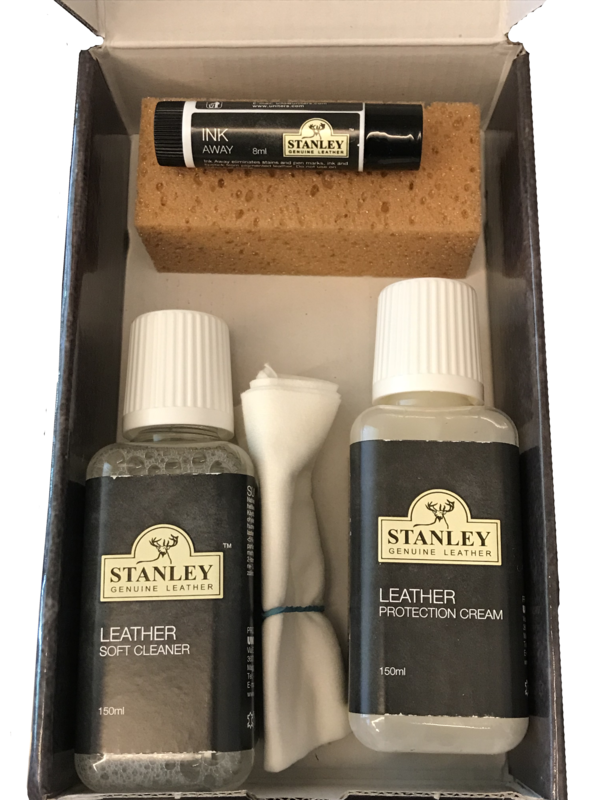 Once the surface of the leather is dry, apply Stanley’s leather protection cream with a soft cloth to help repel staining and soiling of your leather. It will also keep the leather soft and supple. Certain high-end/premium leather, namely, Montana, Tuscana, Vintage, Rustical should only be dry-washed, no chemical or water should be applied over the leather surface. Like most upholstery, leather is sensitive to spills, especially liquids, so they should be removed from the surface as soon as possible to keep them from soaking in. Some stains such as ink marks and lipstick marks can be eliminated using Stanley’s ink remover. This is the only ink-remover of its kind available in the market. If the stain is more stubborn, apply the ink remover 1-2 times a week and the marks should fade away slowly. 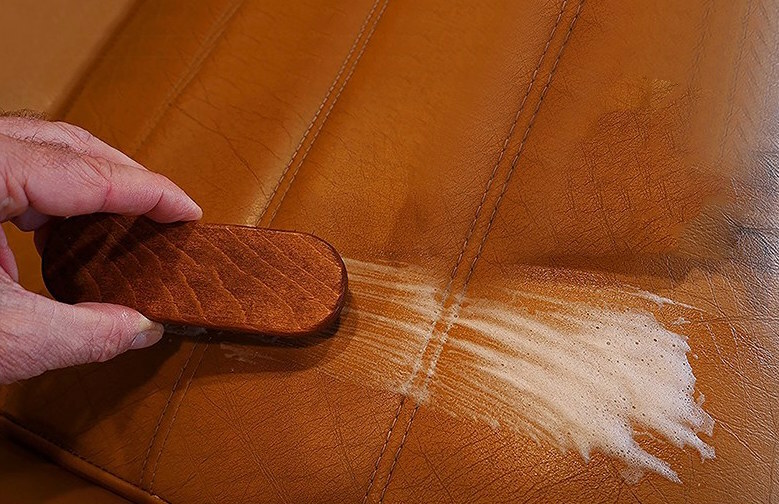 When it comes to cleaning leather upholstery, avoid DIY remedies. Leave the homemade solutions using mayonnaise and vinegar to sandwiches, not cleaning your leather. Use of any other chemical or abrasive materials for cleaning leather must also be avoided. Detergents, washing up liquids, household cleaners, furniture polish and solvents, such as petrol, gasoline, white spirit or alcohol, should not be used on leather. While these products may give an initially impressive appearance, their use will lead to rapid deterioration of the leather and will invalidate the warranty of the product. Leather Sofas gives your home a classy and comfortable look. Follow these tips and tricks and increase the life of your sofas. Reach out to us if you need more information or clarification. Happy Cleaning!